Ancestry.com LLC is a privately held Internet company based in Lehi, Utah, United States. The largest for-profit genealogy company in the world, it operates a network of genealogical and historical record websites focused on the United States and nine foreign countries, develops and markets genealogical software, and offers a wide array of genealogical related services. As of June 2014, the company provided access to approximately 16 billion historical records and had over 2 million paying subscribers. User-generated content tallies to more than 70 million family trees, and subscribers have added more than 200 million photographs, scanned documents, and written stories. Ancestry's brands include Ancestry, AncestryDNA, AncestryHealth, AncestryProGenealogists, Archives.com, Family Tree Maker, Find a Grave, Fold3, Newspapers.com, and Rootsweb. Under its subsidiaries, Ancestry.com operates foreign sites that provide access to services and records specific to other countries in the languages of those countries. These include Australia, Canada, and several countries in Europe (covered by Ancestry Information Operations Company). In 1990, Paul B. Allen and Dan Taggart, two Brigham Young University graduates, founded Infobases and began offering Latter-day Saints (LDS) publications on floppy disks. In 1988, Allen had worked at Folio Corporation, founded by his brother Curt and his brother-in-law Brad Pelo. Infobases chose to use the Folio infobase technology, which Allen was familiar with, as the basis for their products. Infobases' first products were floppy disks and compact disks sold from the back seat of the founders' car. In 1994, Infobases was named among Inc. magazine's 500 fastest-growing companies. Their first offering on CD was the LDS Collectors Edition, released in April 1995, selling for $299.95, which was offered in an online version in August 1995. Ancestry officially went online with the launched Ancestry.com in 1996. Founded in 1983 by John Sittner as a genealogy newsletter, Ancestry magazine was launched in January 1994. On January 1, 1997, Infobases' parent company, Western Standard Publishing, purchased Ancestry, Inc., publisher of Ancestry magazine and genealogy books. Western Standard Publishing's CEO was Joe Cannon, one of the principal owners of Geneva Steel. The MyFamily.com website launched in December 1998, with additional free sites beginning in March 1999. The site generated one million registered users within its first 140 days. The company raised more than US$90 million in venture capital from investors and changed its name on November 17, 1999 from Ancestry.com, Inc. to MyFamily.com, Inc. Its three Internet genaealogy sites were then called Ancestry.com, FamilyHistory.com, and MyFamily.com. Sales were about US$62 million for 2002 and US$99 million for 2003. 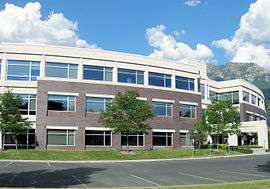 In March 2004, the company, which had otgrown its call center in Orem, Utah, opened a new call center, which accommodates about 700 agents at a time, in Provo. Heritage Makers was acquired by MyFamily.com in September 2005, and sold a year later in August 2006. The Ancestry.ca website was opened on 24 January 2006. In March 2006, MyFamily opened a new office in Bellevue, Washington, as part of the MyFamily business unit. Encounter Technologies was acquired in April 2006. On December 19, 2006, the company changed its name to "The Generations Network." While the company had been offering free access to Ancestry.com at LDS Family History Centers, that service was terminated on 17 March 2007, because TGN and the LDS Church were unable to reach a mutually agreeable licensing agreement. In 2010, Ancestry restored access to its site at Family History Centers. On July 6, 2009, the company changed its name to "Ancestry.com". In 2010, Ancestry sold its book publishing assets to Turner Publishing Company. In the same year, Ancestry.com discontinued the publication of Ancestry Magazine, after 25 years of publication, and Genealogical Computing. Ancestry.com continued its partnership with NBC for the second season of the Who Do You Think You Are? television series in 2011. In September 2013, Ancestry.com announced its acquisition of Find a Grave. A month later, the company announced it had purchased the family history records of the South African genealogy website Ancestry24, which ceased operating in February 2013. Ancestry.com is a subscription-based genealogy research website and DNA product with over 16 billion records online. The majority of records are from the United States, though records are being added for other countries, such as Canada, the UK, and other European countries. Some records are free for anyone to access, but the majority are accessible only by paid subscription. On June 22, 2006, Ancestry.com completed the indexing and scanning of all of the United States Federal Census records from 1790 through 1930. Ancestry.com was nominated for a 2007 CODiE Award in the "Best Online Consumer Information Service" category. For genetic genealogy, Ancestry.com offers genealogical DNA tests of autosomal DNA, paternal Y-chromosome DNA, and maternal mitochondrial DNA. As of June 2014, Ancestry.com has discontinued its paternal Y-chromosome DNA and maternal mitochondrial DNA tests, and only carries an autosomal DNA test. AncestryDNA is a subsidiary of Ancestry LLC. AncestryDNA uses a simple test to analyze an individual's DNA. AncestryDNA offers the potential of identifying new insights into people's ancient ancestry to help them collaborate with distant cousins and make even more discoveries into their family history. On July 16, 2015 Ancestry launched AncestryHealth, a generational health database. At the same time, the company also announced the appointment of Dr. Cathy A. Petti, MD as AncestryHealth's Chief Health Officer. On October 22, 2013, Ancestry.com purchased Ancestry24, which had ceased operating in February 2013. It was an online archive and research service owned by Media24 that preserved South Africa’s history for future generations in the form of a collection of databases that included millions of records on individuals who have lived in South Africa since the late 1600s. Transcribed from original documents and reliable resources, records included births, baptisms, marriages, deaths, burials, passenger lists and voters lists. It also had an image library of over 33,000 graves. On September 30, 2013, Ancestry.com announced its acquisition of Find a Grave. Site editor Jim Tipton said of the purchase that Ancestry.com had, "...been linking and driving traffic to the site for several years. Burial information is a wonderful source for people researching their family history....” Ancestry.com launched a mobile app in March 2014. Fold3 is a subscription-based website specializing in historical military records primarily from the United States. It also has a large collection of documents dealing with the United States, city directories, and newspapers. Some record sets are free but the majority are accessible only by paid subscription. The website was originally named Footnote.com and independently owned when it launched in 2007. Footnote.com was acquired by Ancestry.com in fall 2010. As part of the acquisition, Footnote.com was later rebranded as Fold3 in an effort to focus on military records. Genealogy.com is a genealogy research website with some records not found on Ancestry.com, though the total number of records available is smaller. Genealogy.com was acquired from A&E Networks by MyFamily.com in 2003. LongLostPeople.com allows one to search public records for living people in the United States. MyFamily.com allowed members to create private family, or group, websites. Customization was limited. The 1998 version is still available but no further enhancements are planned. After three years of a beta release 2.0, it was running the first non-beta release, "MyFamily.com 2.5.3". However, since the architecture was changed so radically from 2.0 to 2.5, internally at MyFamily all references to v2.5 are actually being called v3.0. Users of version 3.0 (aka 2.5) last saw an update to the code in February 2010. Since that date both v1.0 and v3.0 have been 'frozen'. Migration services from v1.0 to v3.0 were stopped on 21 March 2010 with no reason given. Many features of the original version of the site were not ported to release v3.0, although new features such as video support, blog support, social group interface, and unlimited storage were introduced. Also in May 2010, MyFamily closed its Bellevue, Washington, development office, effectively letting its entire staff go since the offer to move to Provo, Utah, was not accepted by any staff. Since the loss of the Washington office, no new features have been added nor have any current problems or bugs been resolved. As of July 2010, free sites on v3.0 were discontinued. Ancestry shut down MyFamily.com on September 5, 2014. Members were informed they could download zip files of their data if they desired. At the shutdown, MyFamily had not resolved discontent with the downloading process, which consisted of capturing miscellaneous uncatalogued photos, with alphanumeric names and no data attached, and various calendar documents, thus leaving behind the associated data, File Cabinet documents, family recipes, and all other information. Newspapers.com is a subscription-based website launched in November 2012, which provides access to historical newspapers, mostly from the United States, for genealogical and historical research. Ancestry Academy is a website that offers high-quality video instruction from family history and genealogy experts. Launched in April 2015, it covers a wide range of topics of interest in family history research, including Native American ancestry, online US census research, and DNA testing. New courses are added monthly. RootsWeb was acquired by MyFamily.com in June 2000. RootsWeb is a free genealogy community that uses online forums, mailing lists, and other resources to help people research their family history. Founded in 1993 by Brian Leverich and Karen Isaacson as the Roots Surname List, it is the oldest free online community genealogy research site. Users can upload GEDCOM files of their information for others to search at the WorldConnect portion of the site. Trees uploaded to WorldConnect are searchable at both the RootsWeb and Ancestry websites. ProGenealogists.com is the official Ancestry.com research firm. In the first quarter of 2012, Ancestry had 1.87 million users. According to Quantcast, as of April 2012, Ancestry.com reached a rough estimate of 8.3 – 8.4 million people in the US. In the second quarter of 2014, Ancestry had 2.11 million users, for a loss of 52,000 subscribers when compared to the first quarter of 2014. Family Tree Maker (FTM) was advertised as "the #1 selling family history software". As with other genealogy software, FTM allowed the researcher to keep track of information collected during research and to create reports, charts, and books containing that information. The software was originally developed by Kenneth Hess of Banner Blue Software, which was purchased by Brøderbund in 1995. It passed through the hands of The Learning Company, Mattel, and others before coming under its current ownership. A redesigned Family Tree Maker 2008 was released on August 14, 2007. The 2009 version of the program corrected some of the errors and omissions of its predecessor, and introduced a few new features. Family Tree Maker 2010 claimed to further enhance the radical re-design and be more powerful and feature-packed with faster navigation and quicker load times. A version for the Mac was released in 1997, but due to low market demand was discontinued for over a decade. A new version of Family Tree Maker for Mac was released on November 4, 2010. Family Tree Maker Version 16 was awarded a CODiE Award in the "Best Consumer Productivity Solution" category in 2006. On December 8, 2015, Ancestry.com announced that it would discontinue Family Tree Maker. The announcement was met by fierce protest from Family Tree Maker users. On February 2, 2016, Ancestry.com announced that Software MacKiev, the company that had developed the Mac version of the software for more than six years, would acquire the Family Tree Maker brand, and take over the development and publishing of Mac and Windows editions. Please press show for more information on past versions. 1989 Banner Blue Software DOS Supplied on 3.5 and 5.25 floppy disks. Data file used .FTM as a file extension on DOS. No GEDCOM support. 1.01 1990 Banner Blue Software DOS No GEDCOM support. January 1994 Banner Blue Software Windows 3.1 / DOS Data file used .FTW as a file extension on Windows. Supplied on two 3½ inch floppy disks. Supported GEDCOM import/export. 3.01 February 1996 Brøderbund Software Windows 3.1 & 95 (16 bit & 32 bit) / DOS Beginning with this version every copy of Family Tree Maker for Windows came with both a Windows 95 (32-bit) and Windows 3.1x (16-bit) version. January 1997 Brøderbund Software Macintosh (PowerPC processor only) Marketed as Family Tree Maker Deluxe Edition II for Macintosh. September 1996 Brøderbund Software Windows 3.1 & 95 (16 bit & 32 bit) / DOS First release on a CD-ROM. 14 August 2007 Ancestry.com Windows Returned to using the .FTM extension for windows datafiles. 13 December 2013 Ancestry.com Mac OSX 10.6 or later (Intel-based Mac) Marketed as Family Tree Maker Mac 3. Late 1998 The Learning Company acquired Palladium Interactive (which included Ultimate Family Tree). November 1999 A&E Television Networks, Hearst Interactive Media, Mattel, and private equity firms form Genealogy.com, LLC April 2000 v7.5 Published. Ancestry.com is partnered with FamilySearch. Ancestry.com is partnered with ProQuest LLC. ProQuest distributes Ancestry Library Edition worldwide to public and academic libraries, K-12 schools, and other institutions. Ancestry is partnered with Calico, a company focused on longevity research and therapeutics, in an effort to investigate human heredity of lifespan. Together, they evaluate anonymized data from millions of public family trees and a growing database of over one million genetic samples. AncestryDNA and Calico will work together to analyze and investigate the role of genetics and its influences in families experiencing unusual longevity using Ancestry's proprietary databases, tools and algorithms. Calico will then focus its efforts to develop and commercialize any potential therapeutics that emerge from the analysis. ↑ "MyFamily.com, Inc. Names Tim Sullivan President and Chief Executive Officer". PR Newswire. 15 September 2005. Retrieved 21 April 2008. ↑ Goodman, Wes. "GIC and Silver Lake Invest in U.S. Genealogy Company Ancestry". Bloomberg. Retrieved 8 April 2016. ↑ Chahine, Ken. "DNA and the Masses: The Science and Technology Behind Discovering Who You Really Are". WIRED. Retrieved 8 April 2016. ↑ Peter Wayner (22 April 2004). "From Shared Resources, Your Personal History". The New York Times. Retrieved 13 April 2007. ↑ "Recent Business Highlights". Ancestry.com. Retrieved 24 February 2014. ↑ "FamilyHistory.com". Archived from the original on 24 December 2006. Retrieved 26 December 2006. ↑ "Europe S.à r.l.". Ancestry.com. Retrieved 27 February 2011. ↑ "Backing into a lucrative business". Deseret News. 11 June 2000. ↑ "Let a mouse guide your scripture search". Deseret News. 3 April 1995. ↑ "LDS Materials Available Online". Deseret News. 3 August 1995. ↑ "Ancestry Moves Further into Consumer Genetics". MIT Technology Review. Retrieved 2016-05-11. ↑ "About Western Standard Publishing". Archived from the original on June 16, 2008. Retrieved 21 September 2008. ↑ "Genealogy business booms as boomers seek out roots". Deseret News. 5 April 1997. ↑ "Western Standard sells interest in business magazine to Utah County man". Deseret News. 4 June 1997. ↑ "Infobases acquires LDS publishing house". Deseret News. 1 July 1997. ↑ "Happily joined". Deseret News. 5 April 1998. 1 2 3 "Infobase Ventures Portfolio Companies". Infobase Ventures. Archived from the original on 28 May 2007. Retrieved 21 April 2008. ↑ "Deseret Book parent announces plans to acquire Bookcraft". Deseret News. 9 February 1999. ↑ "Acquisition of Bookcraft finalized". Deseret News. 1 April 1999. ↑ "MyFamily.com begins offering free sites". March 11, 1999. Archived from the original on November 16, 2006. Retrieved 26 December 2006. ↑ "Ancestry.com, Inc. Changes Corporate Name to MyFamily.com, Inc.". Ancestry.com. 17 November 1999. ↑ Paul Allen (20 May 2006). "My Companies: A Chronological View of My Entrepreneurial Endeavors". paulallen.net. Archived from the original on 18 April 2008. Retrieved 21 April 2008. ↑ "MyFamily growing in Utah". Deseret News. 13 April 2004. Archived from the original on 21 April 2008. Retrieved 21 April 2008. ↑ "MyFamily.com, Inc. Acquires Heritage Makers". PR Newswire. 21 September 2005. Retrieved 21 April 2008. ↑ "Most Comprehensive Collection of Canadian Family Research Records Online Launches at www.ancestry.ca". 24 January 2006. Retrieved 2016-02-21. ↑ "MyFamily.com Opens Seattle-area Office as Company Looks to Expand Products and Services". 23 March 2006. Retrieved 26 December 2006. ↑ "MyFamily.com acquires Encounter Technologies". 27 April 2006. Archived from the original on 16 November 2006. Retrieved 26 December 2006. ↑ "MyFamily.com, Inc. Changes Corporate Name to The Generations Network". 19 December 2006. Retrieved 26 December 2006. ↑ "The Generations Network Becomes Ancestry.com". 6 July 2009. Retrieved 1 August 2009. ↑ Jim Milliot, "Turner Publishing Buys Ancestry Publishing Assets," Publishers Weekly, 23 March 2010. ↑ "Ancestry Magazine Discontinues Publication". 15 January 2010. Retrieved 2 March 2010. ↑ "Ancestry.com: Investor FAQs". Retrieved 27 February 2011. ↑ "BloggingStocks: Ancestry.com explores an IPO". Retrieved 27 February 2011. ↑ "Ancestry.com: Recent Business Highlights". Retrieved 27 February 2011. ↑ "Ancestry.com updates app with iPad optimization". Macworld. Retrieved 2016-05-11. ↑ "Ancestry app is the perfect companion for researching family tree history - AndroidTapp". AndroidTapp. 2012-03-05. Retrieved 2016-05-11. ↑ Sterman, Joce (December 14, 2011). "Website stops displaying Social Security numbers for recently dead". ABC2. Archived from the original on January 10, 2012. Retrieved 21 December 2011. ↑ Kennedy, John Fintan (11 July 2012). "Ancestry.com to create 50 new jobs at international HQ in Dublin". Silicon Republic. Retrieved 1 August 2013. Ancestry.com’s Dublin employees will include staff working within management and finance functions, as well as website developers and member service agents. ↑ Flanagan, Peter (23 October 2012). "Genealogy giant sold for €1.2bn months after Dublin move". Irish Independent. Retrieved 1 August 2013. It set up in Ireland last year but in July confirmed it would open its European headquarters on Sir John Rogerson's Quay in Dublin, and started taking on around 35 staff from September. ↑ "Ancestry.com Acquired by Private Equity Group for $1.6 Billion". The Descrier. Retrieved 22 October 2012. ↑ "Permira Funds Complete Acquisition of Ancestry.com" (Press release). ancestry.com. December 28, 2012. Retrieved 31 March 2013. ↑ "Ancestry.com Acquires Photo Digitization And Sharing Service 1000memories". TechCrunch. Retrieved 3 October 2012. ↑ "Ancestry.com Acquires Find A Grave". Ancestry.com. Retrieved 1 October 2013. ↑ "Ancestry24". Retrieved 22 October 2013. ↑ "Ancestry.com Purchases Family History Records from Media24". Ancestry.com. Retrieved 22 October 2013. ↑ "The loveable skeletons in the family closet". Telegraph.co.uk. Retrieved 2016-05-11. ↑ Mann, Thomas (2015). "Genealogy and Local History". Oxford Guide to Library Research (4th ed.). Oxford University Press. ISBN 978-0-19-993106-4. ↑ "Genealogical site digitizes millions of census records". CNN. 22 June 2006. Retrieved 23 June 2006. ↑ "Ancestry.com Digitizes Entire US Federal Census Collection From 1790–1930". Retrieved 23 June 2006. ↑ "Finalists — The 22nd Annual SIIA Codie Awards". Archived from the original on 25 January 2007. Retrieved 26 January 2007. ↑ "AncestryDNA". Retrieved 26 October 2012. ↑ "Ancestry.com Pulls the Plug on Several Sites". Retrieved 15 July 2014. ↑ "23andme relaunches its expanded DNA spit tests after FDA-mandated pause". USA TODAY. Retrieved 2016-05-11. ↑ Buhr, Sarah. "Ancestry.com Welcomes AncestryHealth To The Family". TechCrunch. Retrieved 2016-05-11. ↑ "Ancestry.com launches health website, positions itself as budding 23andMe competitor". MobiHealthNews. 2015-07-16. Retrieved 2016-05-11. ↑ "Ancestry.com Acquires Find A Grave". Retrieved May 3, 2016. ↑ "The Ancestry Insider: Ancestry.com Releases Find-A-Grave App". www.ancestryinsider.org. Retrieved 2016-05-18. ↑ "What's Free on Fold3". 14 August 2014. Retrieved 14 August 2014. ↑ Blake Scarbrough (21 October 2010). "Ancestry.com and Footnote.com". Footnote.com blog. Retrieved 4 January 2011. ↑ "Acquisition of Genealogy.com". 18 April 2003. Retrieved 26 December 2006. ↑ "Frequently Asked Questions". Archived from the original on 3 January 2007. Retrieved 26 December 2006. ↑ "MyFamily.com". Archived from the original on 9 February 2010. Retrieved 4 February 2010. 1 2 "Myfamily Blog last feature release". Archived from the original on 4 February 2010. Retrieved 9 February 2010. ↑ "Myfamily Blog". Archived from the original on 6 April 2010. Retrieved 15 March 2010. ↑ "Feature Tour". Ancestry.com. Retrieved 3 May 2010. ↑ Christian, Jon (2015-04-23). "Deleting the Family Tree". Slate. ISSN 1091-2339. Retrieved 2016-05-18. ↑ "Ancestry.com Focuses on Core Offerings". Retrieved May 3, 2016. ↑ "Ancestry.com Launches New Web Site Newspapers.com". Ancestry.com Press Release. 29 November 2012. Retrieved 14 August 2014. ↑ "Ancestry Launches Ancestry Academy, Educational Video Courses for Family History Researchers". Ancestry.com Press Release. 22 April 2015. Retrieved 13 July 2015. ↑ "Acquisition of RootsWeb". 21 June 2000. Retrieved 26 December 2006. ↑ "RootsWeb.com". Family First. 24 September 2005. Archived from the original on 30 August 2007. Retrieved 23 August 2007. ↑ Savitz, Eric. "Ancestry.com: For Sale?". Forbes. Retrieved 13 June 2012. ↑ "Ancestry". Retrieved 13 June 2012. ↑ MacEntee, Thomas. "The Truth Behind Ancestry.com's Recent Subscriber Losses". LinkedIn. Retrieved 25 July 2014. ↑ Pedersen, Tana L. (2011-09-29). "Family Tree Maker: 20-Year Anniversary!". Retrieved 2016-02-21. ↑ Hulet, Kendall (2016-02-02). "New Family Tree Maker Options". Ancestry.com. Retrieved 2016-02-21. ↑ "FamilyTreeMaker.com". Retrieved 30 March 2013. ↑ "Broderbund Software in Banner Blue acquisition". The New York Times. 6 May 1995. pp. 1–37. Retrieved 30 June 2010. ↑ "Family Tree Maker 2010 Feature List". ancestry.com. April 24, 2010. Archived from the original on January 2, 2010. Retrieved 24 April 2010. ↑ "Is Family Tree Maker available for the Macintosh?". Retrieved 26 December 2006. ↑ Planetspriv (4 November 2010). "Family Tree Maker software (Mac) Message Board". ancestry.com. Retrieved 6 November 2010. ↑ "2006 Codie Awards Winners". Software & Information Industry Association. Archived from the original on 4 July 2010. Retrieved 30 June 2010. ↑ "What to Do About the Discontinuation of Family Tree Maker". AncestralFindings.com. 2015-12-16. Retrieved 2016-05-18. ↑ "New Family Tree Maker Options". Retrieved May 3, 2016. ↑ "Google Groups". Retrieved May 3, 2016. ↑ Family Tree Maker Version 16, Eastman's Online Genealogy Newsletter, 18 August 2006. ↑ Genealogy.com Adds Generations to its Genealogy Software Product Line, 25 June 2002, Genealogy.com [ Archived December 4, 2008, at the Wayback Machine. 1 2 Ultimate Family Tree (UFT), by Palladium Interactive, Inc.
↑ "Archived copy". Archived from the original on June 20, 2002. Retrieved 2002-06-20. ↑ "FamilySearch Partnerships: Some Questions and Answers". FamilySearch Blog. Retrieved May 3, 2016. ↑ Bergen, Mark (2015-07-26). "The Long Game: Google-Backed Calico Partners With Ancestry to Beat the Specter of Aging". Recode. Retrieved 2016-05-18.